In the morning we hung out with my brother and Nicole before we headed out to meet Dana’s parents for a belated Father’s Day celebration. 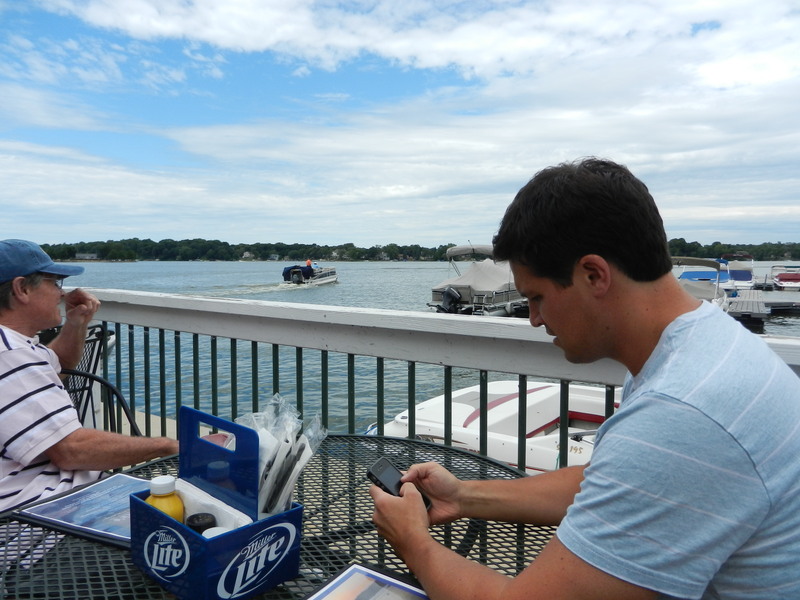 We decided to go to lunch at Captain Jack’s in Prior Lake. We’ve all been wanting to check this place out for a while and thought this would be the perfect opportunity. 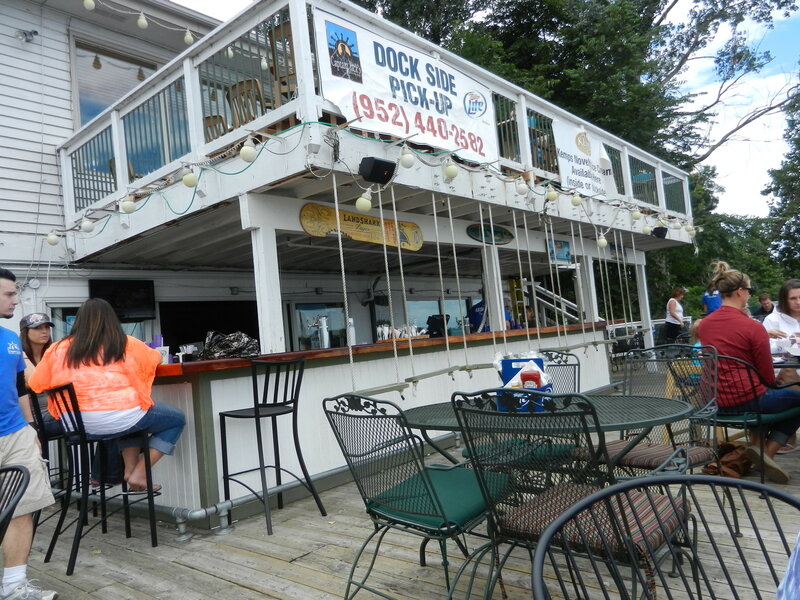 It is a casual restaurant with indoor seating, outdoor patio seating right on the lake and fun swings at the bar. 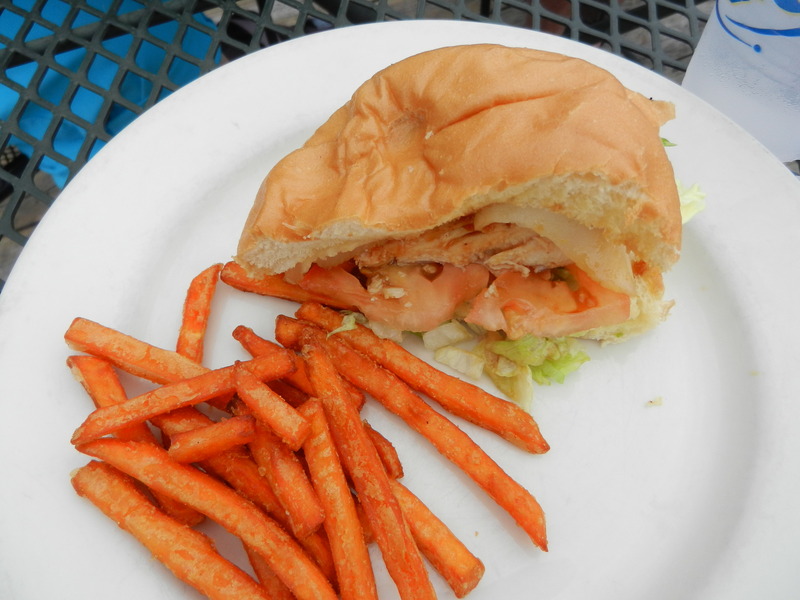 Dana’s mom, Sue, and I split the Hawaiian Chicken Sandwich: teriyaki grilled chicken breast, pineapple, provolone cheese, lettuce, and tomato with a side of sweet potato fries. 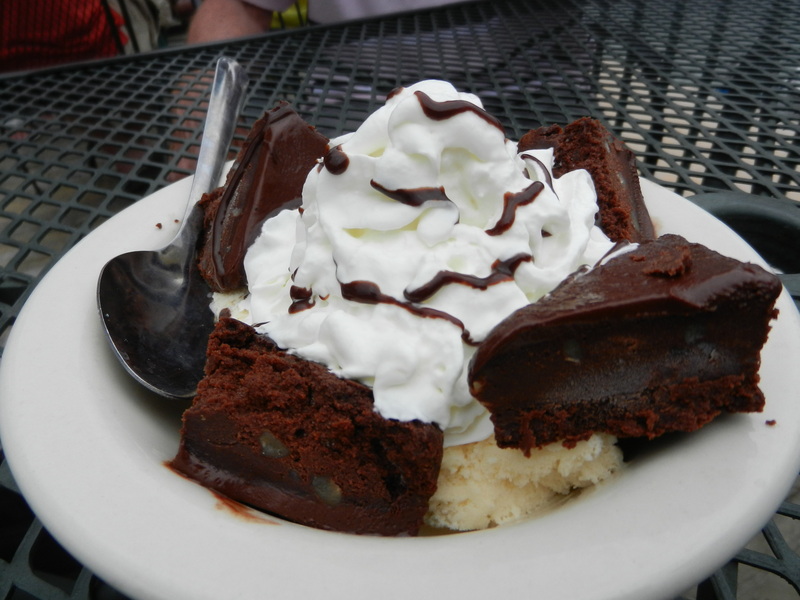 We all split a brownie sundae for a sweet bite to end lunch. 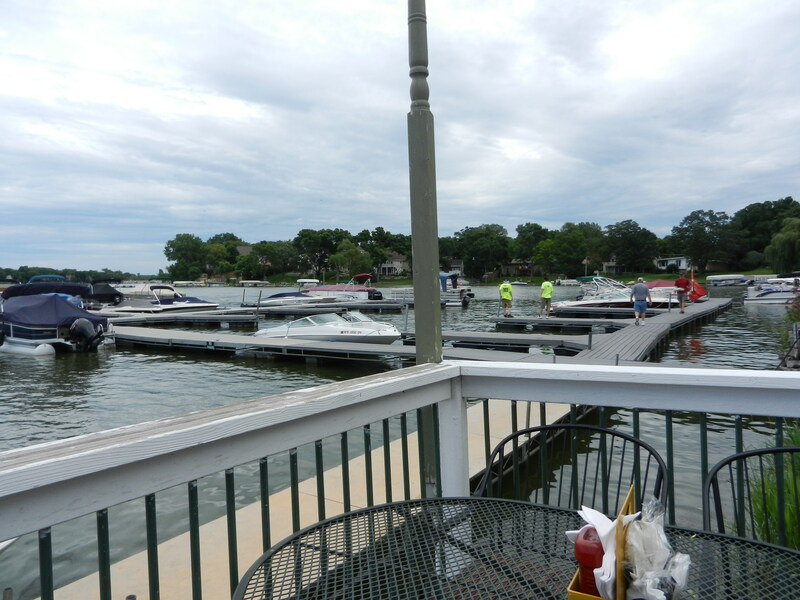 The food was pretty good but the best part was definitely being able to sit outside right by the lake and of course catch up with my in-law’s. The weather held up just long enough while we were there because as we were leaving it began to sprinkle. Talk about good timing! After lunch Dana and I tag-teamed the garden and weeded the heck out of it. 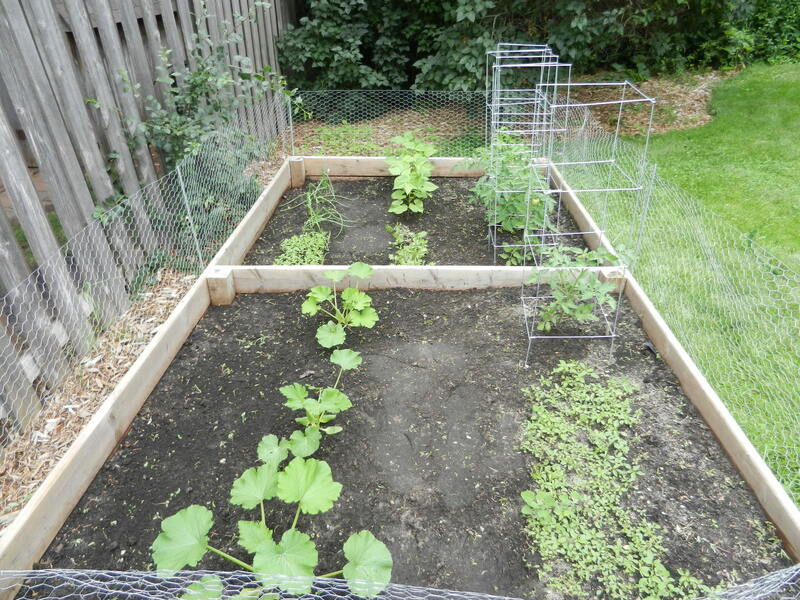 The weeds had invaded our vegetable garden and I was not having it, so we slipped on our gardening gloves and got rid of those buggers. 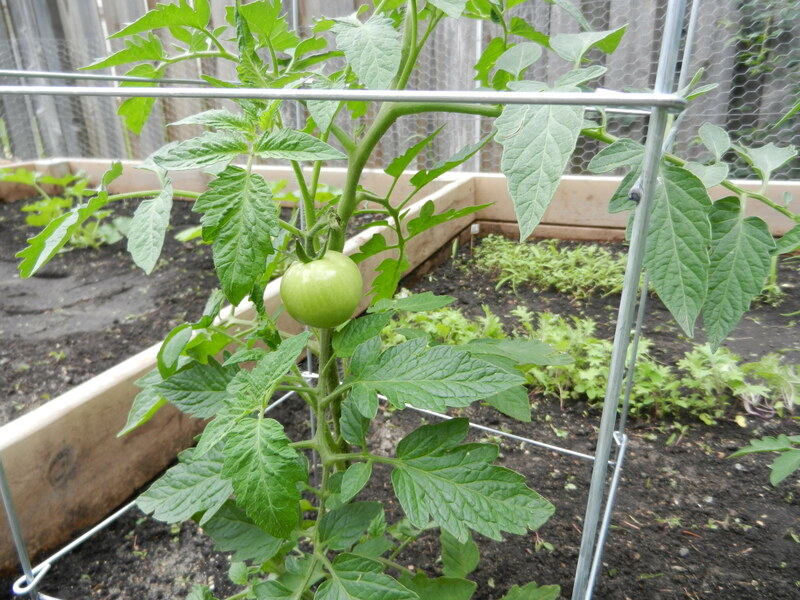 My biggest challenge was deciphering weed versus actual plant with the plants that hadn’t gotten too big yet like the peppers. For dinner we headed over to mom and dad’s for a BBQ. 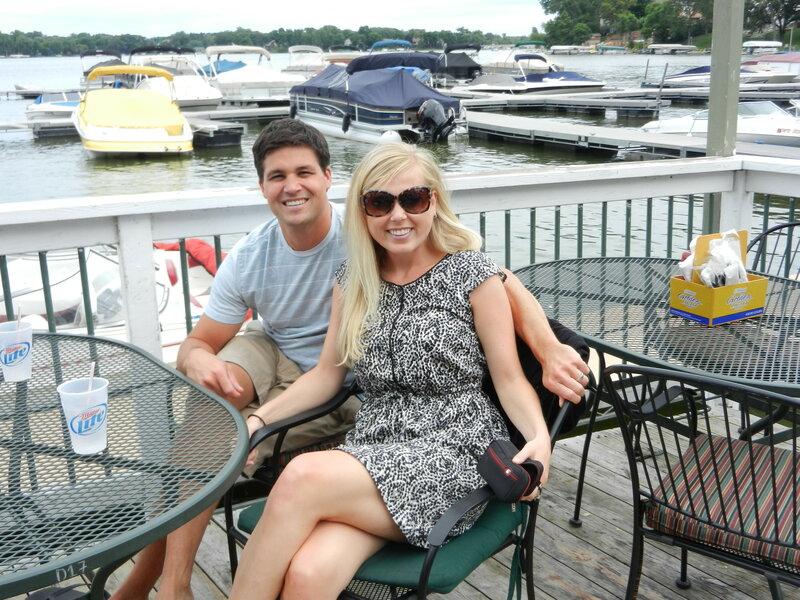 We hung out on the deck and enjoyed the perfect summer weather. Eventually we fired up the grill and got to cooking up some mean burgers. We wanted to keep the meal very simple and planned on a “picnic” type of dinner. 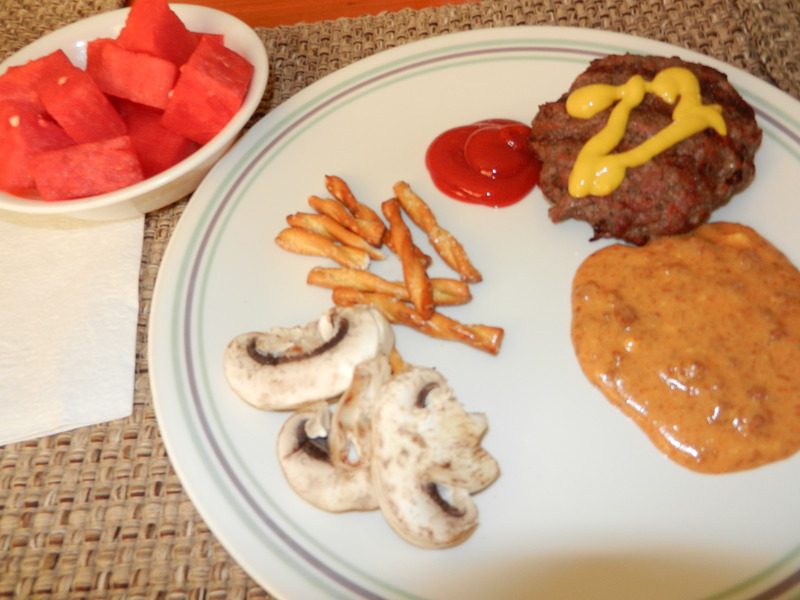 I plated myself up an awesome super lean hamburger, some chili cheese dip with pretzels (plus probably five more servings of pretzels), mushrooms, and watermelon. I had made a big batch of guacamole but completely forgot to put it out for dinner. Whoops! I realize my plate looks a little lame-o but I did my best to stay low-fiber and this is what I came up with. 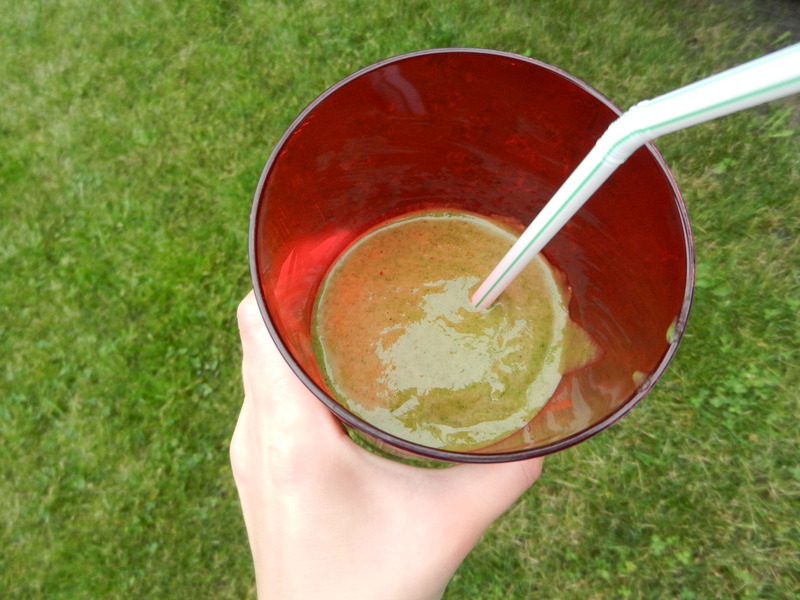 It sure was tasty. 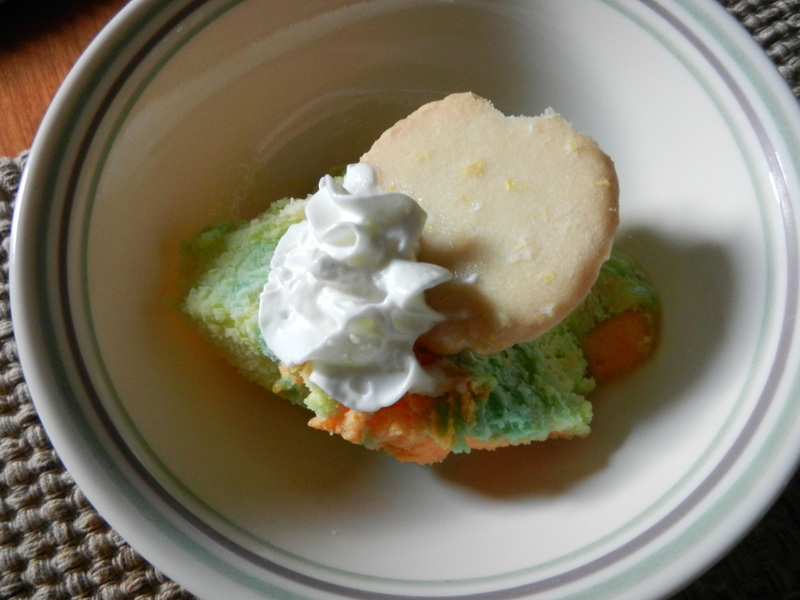 Rainbow sherbet with whipped cream and a lemon butter cookie. Num. 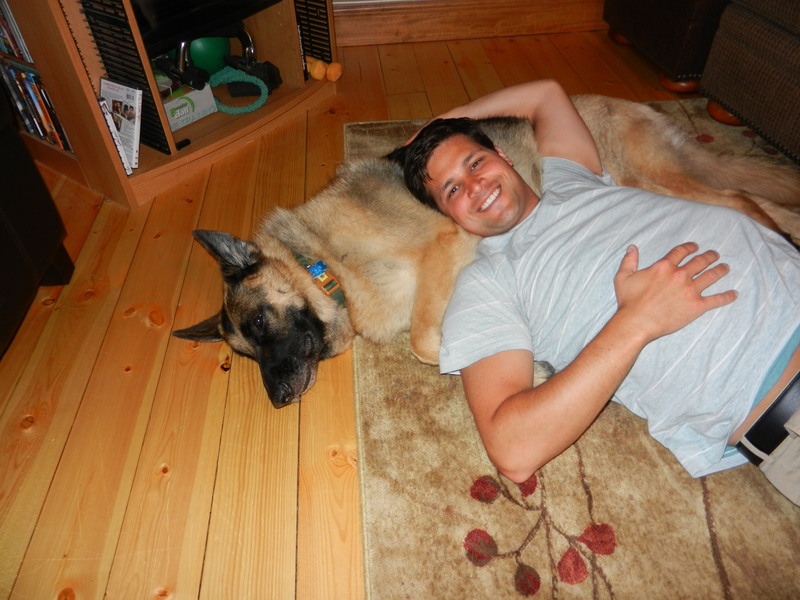 When we got home we hung out with this booger and then called it an early night. I had such a great Saturday with both sides of the family yesterday. I hope you did too. Now on to another day of fun. I’ll fill you in later! 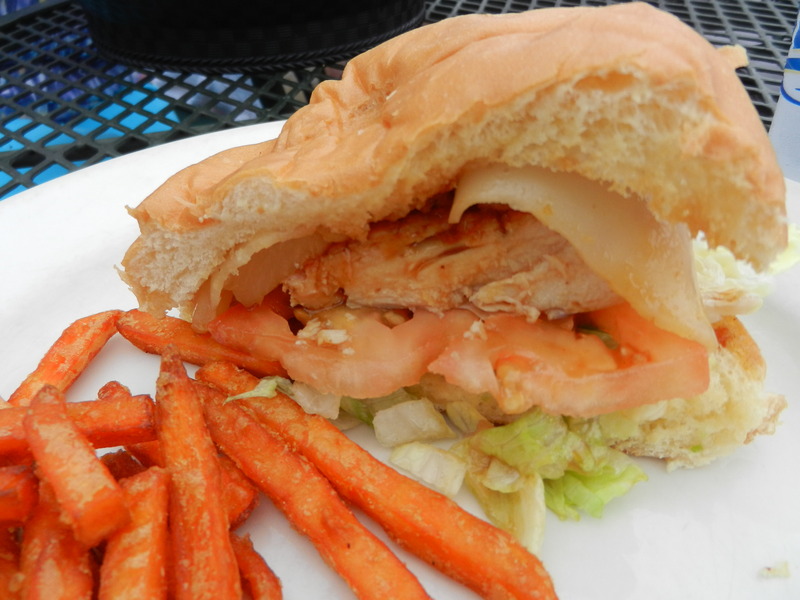 This entry was posted in Breakfast, Dinners, Family, Lunch, Restaurants, Sweet Treats and tagged low-fiber, Protein, Restaurants, Veggies by Melanie. Bookmark the permalink.